Dr. Ure: Children born very preterm (<30 weeks gestation) are at increased risk of autism spectrum symptoms and disorder (ASD) compared with their term born peers. It has been suggested that this increased prevalence is due to abnormal brain development or injury associated with preterm birth. But, until now, there has been limited research using neonatal brain imaging, a period of key brain development, and later ASD diagnosis. Our study included 172 children born very preterm who were recruited at birth and underwent structural brain imaging at term equivalent age (40 weeks gestation). We used a standardized diagnostic interview with parents to diagnose children with autism spectrum symptoms and disorder during their 7 year follow up visit. The diagnoses were confirmed via an independent assessment. Our results suggest there are subtle differences in the brain structure of very preterm newborns later diagnosed with autism spectrum symptoms and disorder, compared with very preterm children without autism spectrum symptoms and disorder. Specifically, we found newborns later diagnosed with ASD had more cystic lesions in the cortical white matter and smaller cerebellums. This latter result is consistent with findings from previous research, including studies that have used positive ASD screening tools with very preterm toddlers, and others who have reported reduced cerebellar volumes in older children with ASD. Dr. Ure: Timely identification of autism spectrum symptoms and disorder is important because early intervention has been shown to be effective in decreasing impairments. But for families with preterm children, accessing autism specific services early is currently a challenge, as diagnoses can be complicated and consequently delayed. Our research raises the possibility that early identification of infants with specific structural brain abnormalities may help increase opportunities for monitoring and early intervention. Findings from this study are also valuable from a theoretical perspective adding to our understanding of the neonatal neural abnormalities evident before the emergence of clinical signs of ASD in children born very preterm. 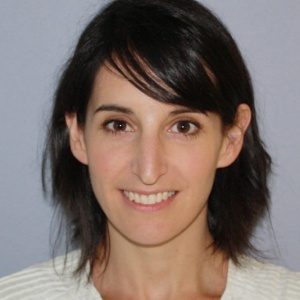 Dr. Ure: This exploratory study is the first to our knowledge to report on neuroimaging on newborns subsequently diagnosed with Autism Spectrum Disorder. Further work using larger samples and more advanced imaging analysis techniques is needed to replicate and build on these findings. We would also recommend investigating the predictive value of environmental and biological risk factors which we know are associated with brain pathology in children born preterm, but are also likely to be related to Autism Spectrum Disorder in preterm children. The inclusion of term born children with ASD would help ascertain whether the associations between brain structure and function found in the preterm cohort in this study also applies to term born children. Finally, the ultimate dream is to incorporate genetic information into a large study of term and preterm children with ASD to better understand these etiological pathways. This entry was posted in Author Interviews, Autism, Medical Imaging, OBGYNE and tagged autism, imaging by Marie Benz MD FAAD. Bookmark the permalink.